As vote tallies came in late Tuesday night, it was Wednesday morning in China and inside the U.S. Embassy in Beijing, many Chinese watchers were celebrating the increasingly likely prospect of a Donald Trump win. 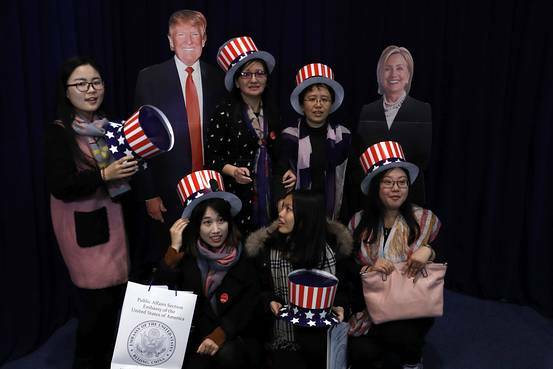 The event, intended to give Chinese locals the opportunity to experience a U.S. election, featured a mock vote and the opportunity for locals to pose with large cut-out photos of Mr. Trump and Democratic candidate Hillary Clinton, as well as remarks from U.S. Ambassador Max Baucus. As he stood and watched the results roll in on a large overhead screen, Tian Junwu, a professor at the Beihang University School of Foreign Languages, said he was rooting for Mr. Trump’s victory. 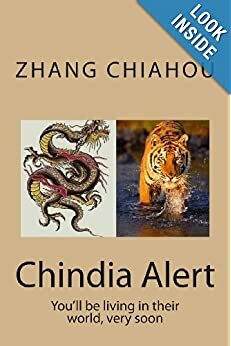 Zhong Shaoliang, the Beijing representative of the industry group World Steel Association, said that the candidates seemed similar to him, but that he preferred Mr. Trump because he seemed more authentic. “He’s more American that way,” he said. As Florida was called for Mr. Trump, a pair of second-year college students studying English at the Beijing Language and Culture University said they were pleased. “Clinton gives me kind of a sinister feeling, I’m kind of scared of her,” said Xu Xiayan, 19, who said she and her friends were paying more attention to the election this year, mostly for its entertainment value. “She’s good at pretending. Like when Trump is saying things and making her angry, she still maintains a slight smile.” Her friend agreed.Kang Xiaoguang, a professor at Renmin University’s China Institute for Philosophy and Social Innovation, said many of his friends were also cheering for Mr. Trump. “He’s saying things that people in America in their hearts might really feel — like about immigrants, about Muslims — but don’t dare say.” And from a foreign-policy perspective, he said, he thought Mr. Trump would be more likely to pull back on a global stage, including in places such as the South China Sea. “That way, China won’t have so much pressure on it,” he said. 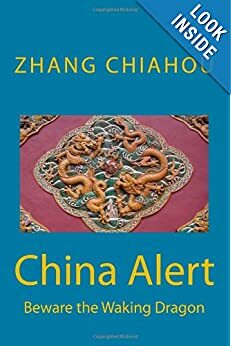 “Also, some people feel the U.S. makes too much trouble for China, so if there’s a person making trouble in the U.S., they think Trump becoming president is a good thing,” he added. Given the chance, he said, he might have cast his ballot for Mrs. Clinton, who he sees as steadier and easier to predict. A recent Pew survey found that Chinese respondents have a poor image of both presidential candidates, but viewed Mrs. Clinton slightly more favorably than her opponent.